A breadboard is a construction base for prototyping of electronics. 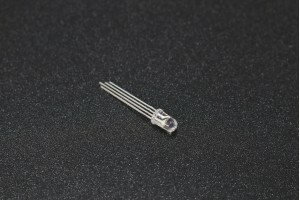 The term is commonly used to refer to solderless breadboard. Because the solderless breadboard does not require soldering, it is reusable. This makes it easy to use for creating temporary prototypes and experimenting with circuit design. Terminal Strip, Tie-points = 640. Distribution strips, Tie-points = 200. 128 Groups of 5 Connected Terminals. 8 bus of 25 connected Terminals. Dimensions = (175 X 67 X 8 mm).